“FICO Eataly Worldis a sensorial education path for food and biodiversity, where the excellence of Italian food and wine are presented and narrated from birth in their motherland until the arrival in the plate or in the glass”. In the FICO Park, hundreds of small and medium-sized Italian companies have the opportunity to show their art and know-how live, including Fedegari Group. 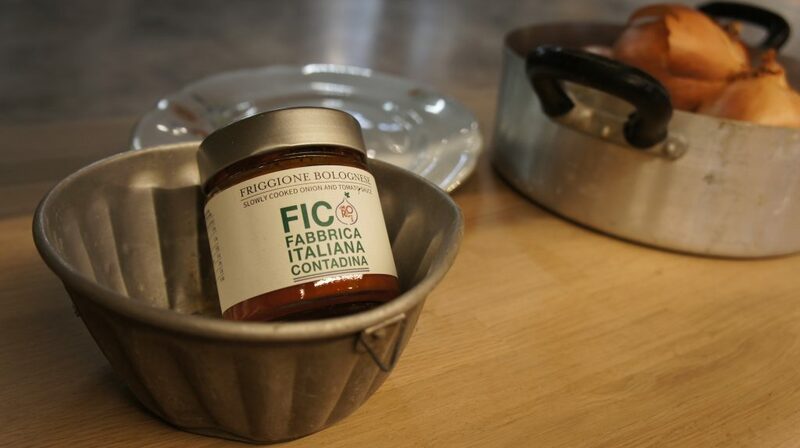 When entering the FICO Park of Eataly World, the workshops tell visitors the story of every excellence of Italian food: starting from the raw product to how it is processed and finished. Walking through the corridors set up with attractive stands and lights, visitors feel absorbed by the creativity in the setting. Beyond the areas dedicated to teaching and relaxation, we arrive at the 062 station of Pasta Bologna – ‘La dispensa di Amerigo’. Here, in the sauce factory, surrounded by a welcoming atmosphere, you can see the Fedegari autoclave model FOB3-TS in the kitchen. .
Before being racked and sold to the customers at Eataly World or to be found directly on the visitors’ plate, the sauces are sterilized and the Italian food lovers can thus directly taste Fedegari ‘technology’and the excellence made in Italy.